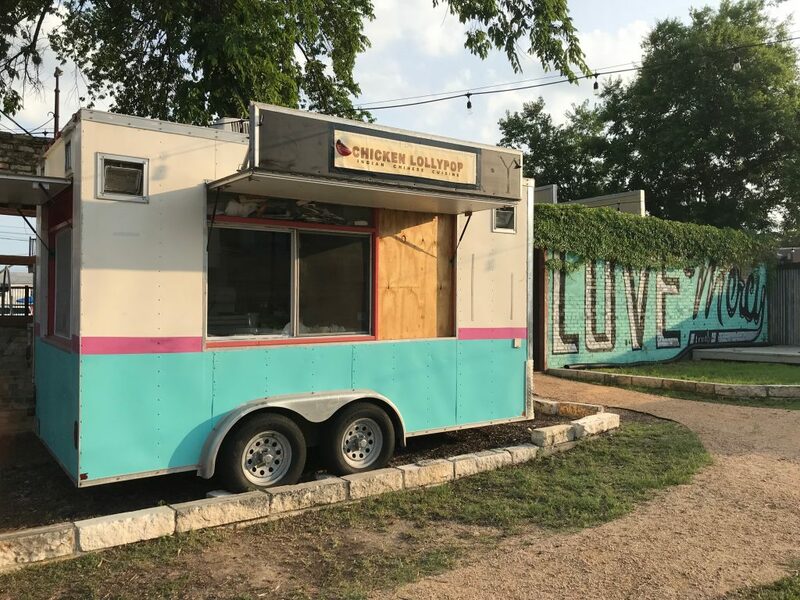 Chicken Lollypop began operating out of an understated food trailer in my east side neighborhood in early 2018, after moving from Braker Lane. Now I’m the one telling my friends, strangers, and Austinot readers: do yourself a favor and try this place as soon as you can. 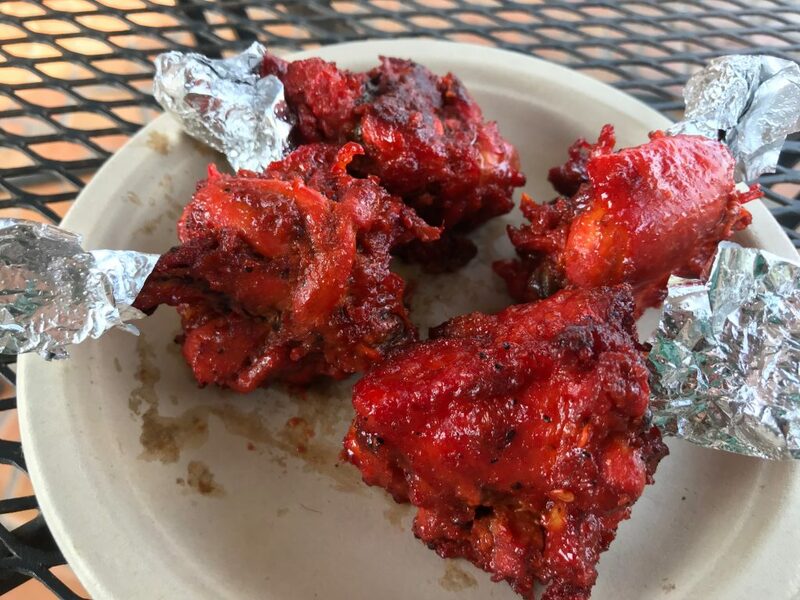 When Immie Shaikh first opened Chicken Lollypop in 2012, he didn’t envision his word of mouth popularity spreading throughout Austin and beyond. “My expectations were not high,” he told me. At the time, he had one goal. “I wanted to make sure I made fresh food,” he said. Shaikh moved to Austin in 2007 from Bombay India, and he brought certain beliefs and standards with him. 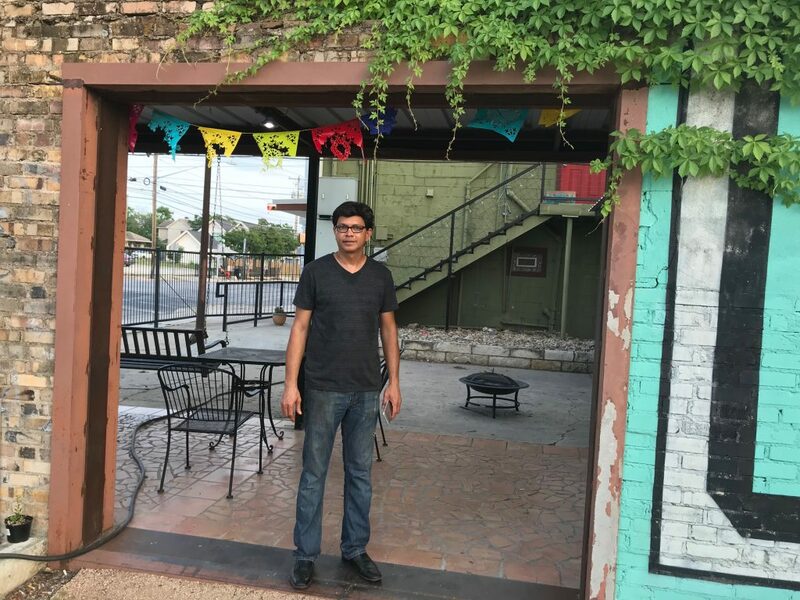 “Where I am from, food is made fresh, right in front of you.” When the entrepreneur surveyed Indian and Chinese food options in Austin, he couldn’t find the fresh and healthy food he craved. As is often the case, this successful business is a result of Shaikh scratching his own itch. He created the kind of food he wished was already here. Just because Chicken Lollypop operates out of a trailer, don’t assume Chicken Lollypop serves fast food. Everything is made to order. “I don’t care if the customer has to wait 15 or 20 minutes extra,” Shaikh told me. “We make fresh food.” The owner’s attention to detail, I learned during our conversation, is astounding. In 2015, Yahoo! came out with an article that listed the best Chinese food in every state. Chicken Lollypop was chosen for Texas and Shaikh’s world changed in an instant. 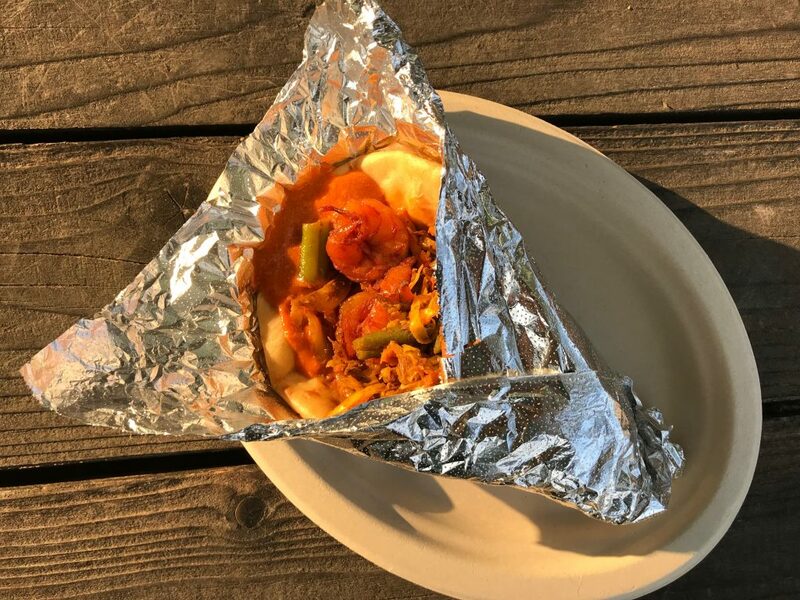 Suddenly, not only did Austin’s biggest foodies know about his creations, but people started visiting from other cities, as well. Shaikh’s idea for fresh Asian fusion had exploded. When he moved his business from the grocery store to a trailer, he knew there would be growing pains. “I am slowly getting my fans back over here, but it will take a few months to stabilize,” he told me. During our brief conversation, no fewer than three customers called, asking where he had moved to. Business is picking up again. The food trailer sits at 1206 Chicon St., on the corner of 12th Street and Chicon. There are a few tables for eating there, but much of Shaikh’s business is takeout. With everything made from scratch, he recommends calling ahead to make sure the wait isn’t too long. This food is worth planning ahead for. The famous chicken lollypops arrive piping hot, big and bright, with tinfoil wrapped around the tip of the bone for easy finger eating. These aren’t your normal chicken wings. This halal chicken has been brined through a process that requires 50 gallons of water for washing. The wings are then marinated for 16 hours. Making these chicken lollypops is arduous, but you can taste the results. Each piece is thick and meaty with a flavor that is entirely original. If you’re visiting this hidden food trailer, make sure to try its namesake dish. Next, I dug into the shrimp Szechuan naan wrap. Let’s start with the homemade naan, the best I’ve had in the city. The wrap, as with everything, is fresh and made to order. It includes chopped vegetables like green beans, cabbage, carrots, and bell peppers. The shrimp, Shaikh notes, is from India and the Szechuan sauce (chutney made with ginger, garlic, onion) is delicious and packs a subtle spicy punch. This is a meal in itself and for $7.99, it’s an absolute steal. I can’t imagine ever visiting without ordering this. Finally, the fried rice with chicken. “You won’t finish this in one sitting,” Shaikh warned. I knew he was right as soon as it hit my table. Apparently, this is a popular order for students because it can count as two full meals. It’s called fried rice, but it’s actually sautéed, and with minimal oil. Again, the nutrition of the food is paramount to Shaikh. 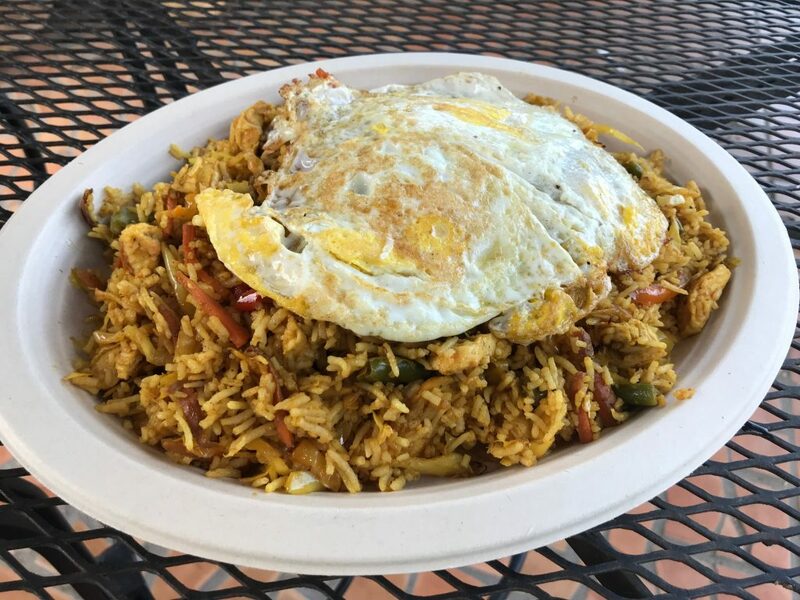 The chopped vegetables, rice, and chicken combine for a delicious though not overpowering meal. None of Chicken Lollypop’s menu items contains MSG, but his unique spice combinations make up the flavor. Two fried eggs on top mix in seamlessly, though Shaikh told me they also serve the purpose of keeping the food underneath hot. Brilliant. This is easily enough food for three full meals, at a price of only $25. “My goal is to serve fresh and nice food, so you leave happy and walk out not having paid a lot,” Shaikh declared. “I am happy with the setup I have now,” Shaikh told me. But that’s not to say big plans aren’t on the way. He’s accomplished his goal of providing fresh, delicious food to Austin. Now he’s getting more ambitious. I will most certainly be a frequent guest. A guest who calls ahead. Have you tried Lollypop Chicken yet?